Whether you need a fenced-in backyard for your new dog, want to improve your home’s security, or you need to replace an aging fence that has seen better days, we can help. As one of the leading local fence companies, we install and repair all types of fences with a commitment to great customer service and quality workmanship. 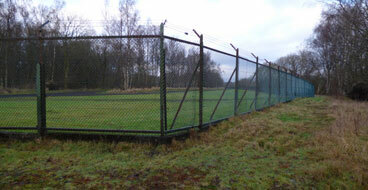 We offer affordable fence installation and repair in the Beavercreek, Ohio area. We do it all with no job too big or small! Installing a new fence can be expensive but you can get the beautiful results you want without spending an arm and a leg. Before you call the big fencing company, turn to your local handymen. Our affordable fence company delivers fencing solutions that impress at a price you can't beat. 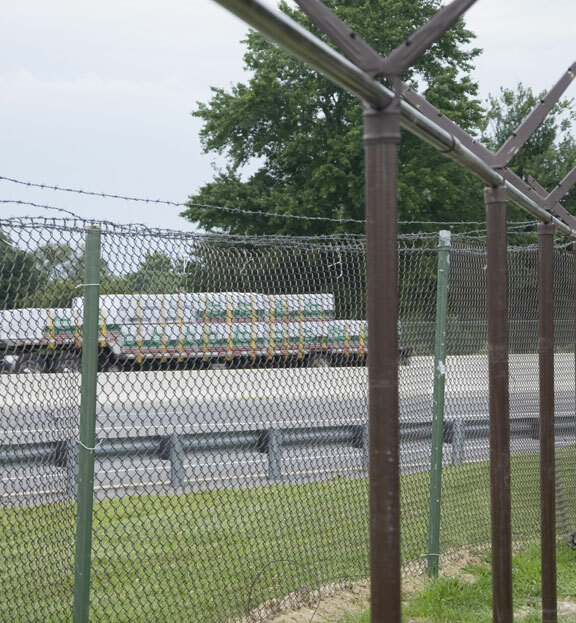 As your local fence company in Beavercreek, we make it easy and affordable to upgrade your property’s security and aesthetics with a wide range of fencing options. We install all types of fencing including chain link, PVC, aluminum, and wood fencing with limitless design and style options. PVC fences aren’t as sturdy as wood or aluminum but they’re weather-resistant and affordable. PVC fencing is a good choice for improving your home’s curb appeal and keeping pets and children in your yard. Our Beavercreek fence company installs PVC fencing with a huge variety of colors, heights, and styles to match your home. Wood fencing is the most popular type of fence in Beavercreek because it offers privacy and great aesthetic appeal. This style of fence is also easy to customize to your needs with options like board on board, rail post, solid board, and picket fencing. As one of the leading wood fencing companies in Beavercreek, we can install a beautiful new fence designed for your needs and budget with dozens of decorative options. Wrought iron fencing is a good choice if you want an ornate and traditional look for your home although wrought iron is expensive and high-maintenance. A popular alternative is aluminum fencing, which can achieve the same look without the difficult upkeep. Our fence company installs aluminum fencing to upgrade your home’s curb appeal and ditch the maintenance required with wood. A properly installed fence can last for many years but you can expect some amount of maintenance and routine repairs, especially with a wood fence. Do you have a fence gate that won’t shut properly or has started to sag? Do you have sagging sections, dry rot, or holes in your fence? 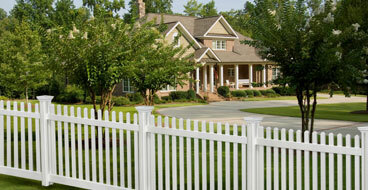 Our fence repair company performs all types of repairs to restore your fence’s integrity and appearance. The right fencing can protect your children, pets, and home while improving your curb appeal and complementing your home and garden. We can help you choose the right fencing system for your home, patio, or pool based on your needs and budget. We install pool fencing, lawn fencing, and patio fencing with so many ways to achieve the look you’re going for. Are you concerned about keeping animals out of your lawn? Is the primary purpose of your fence to keep in pets? Do you have dogs that climb or dig? Do you have large or small pets? Is the fence going to be installed around your pool? How much maintenance are you willing to do? 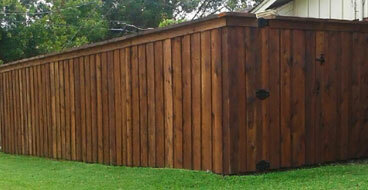 Wood fences require more repairs and upkeep than vinyl and aluminum but they are longer-lasting and sturdy. Where do you need gates located? Will the fence go around your front or back yard? Aesthetics are a bigger concern for a front yard. Call Now! 937-488-4246 or fill out the form below and someone from our team will be in touch with you shortly. Handyman services in the Dayton, Ohio area. Proudly serving Beavercreek, Oakwood, Bellbrook, Centerville and the neighboring cities.